This post is sponsored by HueTrition and is not to be considered medical advice. We are bloggers sharing our personal experiences. As parents, we all want our family to be healthy and happy. It’s our responsibility to teach them healthy habits by being their role model. When it comes to eating, if our family see us eating fast food, high-carb, sugary foods, they will want to do the same. And, if they see us enjoying a healthy diet, the will also want to do the same. Keto is a top choice of diet for many people these days. It’s a great way to create a healthy habits! To learn more about creating healthy lifestyles for your and your family, read Amy’s post on My Four and More. The Ketogenic diet is a very low-carb, high-fat diet that is similar to the Atkins and low-carb diets. It involves drastically reducing carbohydrate intake and replacing it with fat. This reduction in carbs puts your body into a metabolic state called ketosis. When this happens, your body becomes incredibly efficient at burning fat for energy. It also turns fat into ketones in the liver, which can supply energy for the brain. The Ketogenic diet depletes your natural stores of carbohydrates which results in rapid weight loss. There is one big myth that confuses people about keto. They think that the Ketogenic diet is the same as a high protein diet. It’s not. In fact, protein should only be approximately 25% of your macros for the day. 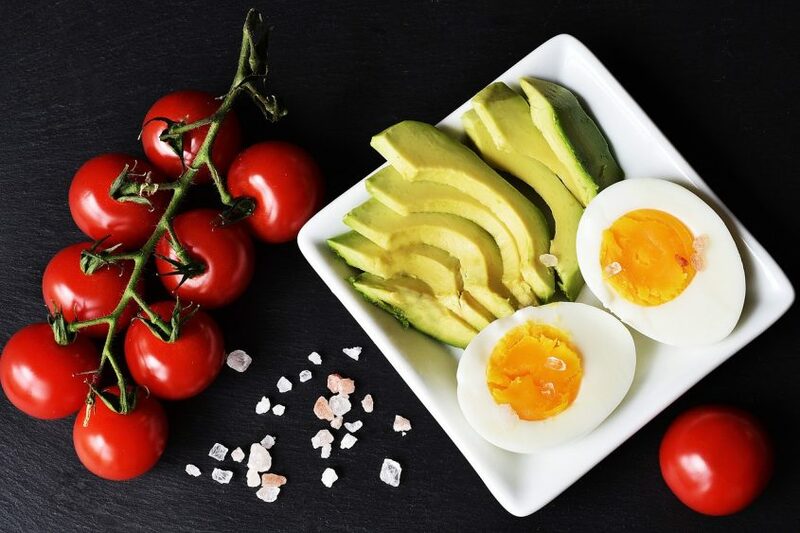 The keto macro count for healthy fats is approximately 70% of your nutrition for the day, with the remaining 5% being carbs. Healthy fats are beneficial for your body, while too much protein can be damaging. Keto macros are the most important aspect of the ketogenic diet. They include the three nutrients that your body needs in large amounts– fat, protein, and carbs. Get them wrong and your chances of reaching ketosis are slim! 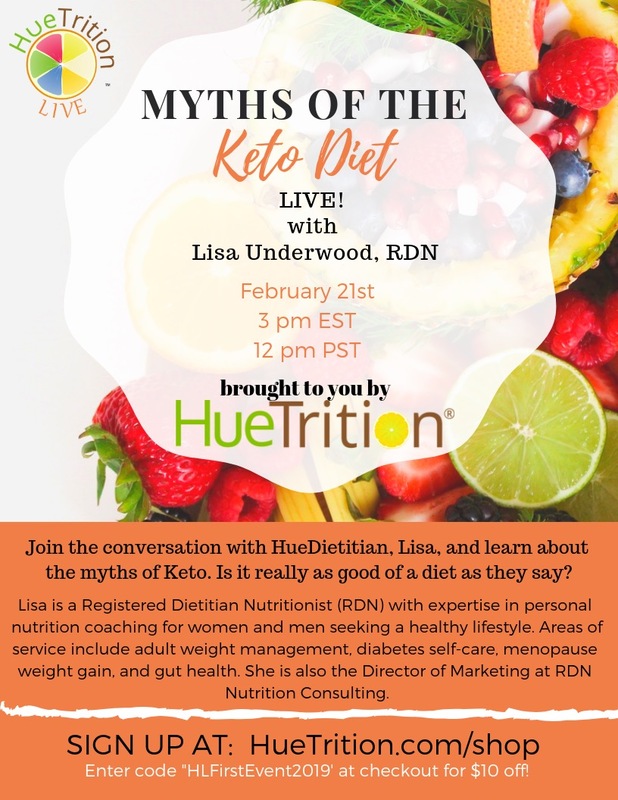 To learn more about how to calculate Keto macros, and the Keto diet itself, be sure to watch Myths of the Keto Diet on Feb 21 at 3pm EST on Huetrition Live! Following the ketogenic diet requires regular follow-up with your doctor and dietitian. 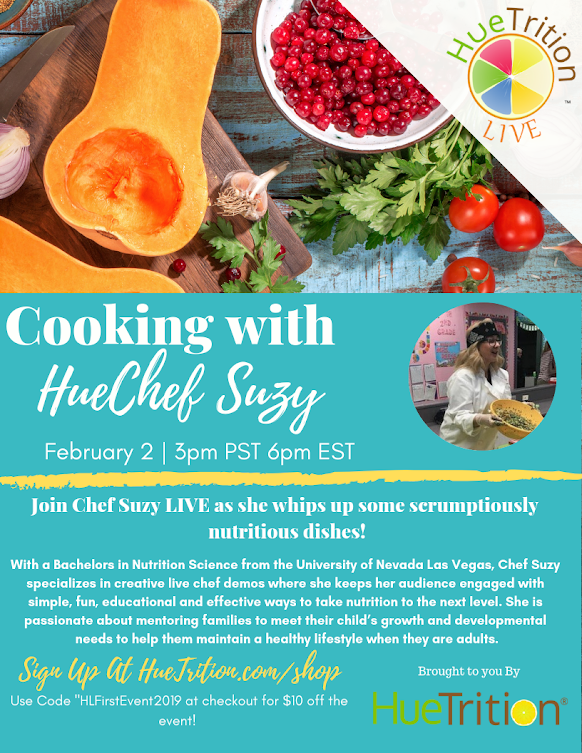 Don’t miss Cooking with HueChef Suzy! 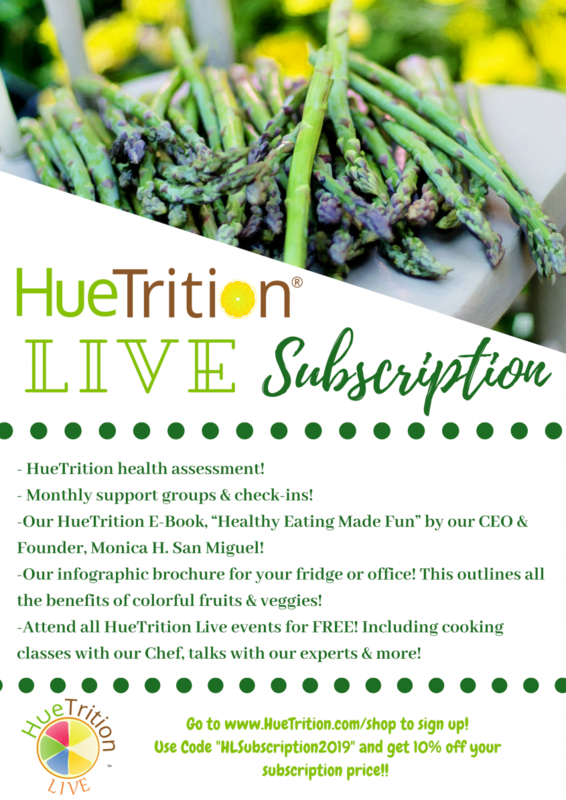 Sign up for your first HueTrition Live event and get $10 off with coupon code HLFirstEvent2019 . 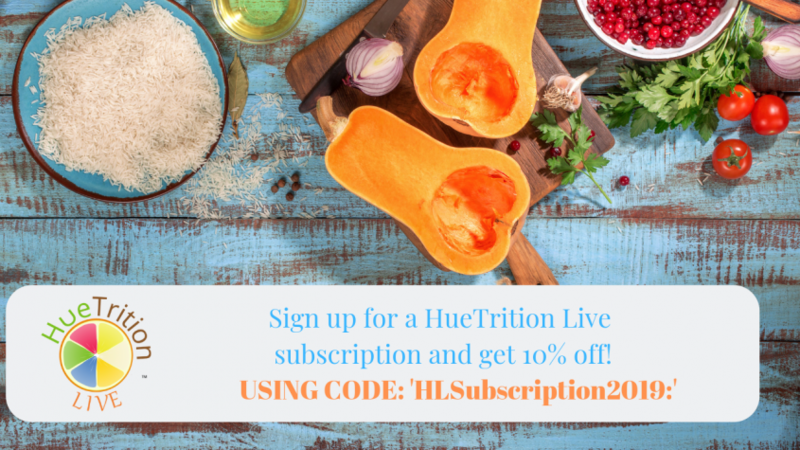 Learn more about the Huetrition Live Subscription below. This new year has brought many new challenges and resolutions. You can find out more about How to Eat Healthier this Year for a Healthier You written by my bloggy friend Michelle on Powered by Mom! Want to keep up with Keto? Be sure to repin any images or bookmark for later! 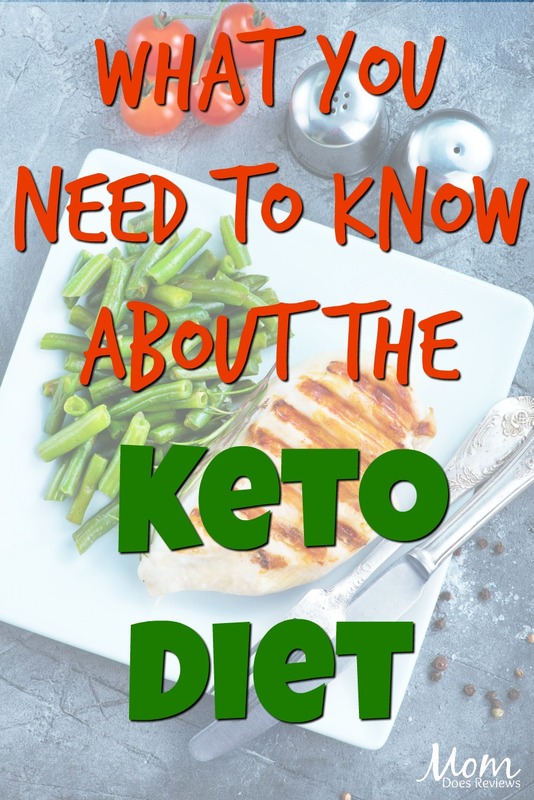 What do you think of the Keto Diet? Let us know in the comments below.